In the immediate aftermath of the crash of a large airliner, there is typically an intense focus on the event by the world's media. In the case of the crash in eastern Ukraine of Malaysia Airlines flight MH17; a Boeing 777 that was traveling between Amsterdam, Netherlands and Kuala Lumpur, Malaysia; there was ample circumstantial evidence that the jet was shot down by a surface to air missile, but this was not directly confirmed within the first two days after the crash. The crash occurred in an area of active military activity in eastern Ukraine, and no official investigative bodies were able to examine the crash site or the aircraft wreckage. In spite of that situation, there was substantial video and photographic evidence that clearly indicated that the aircraft experienced a catastrophic inflight breakup prior to impact. Todd Curtis of AirSafe.com was interviewed over a dozen times in the first 48 hours after the crash. 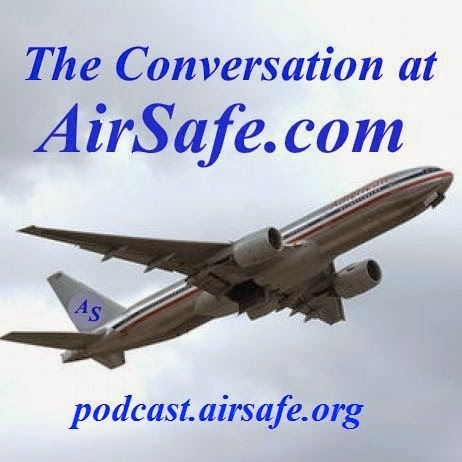 Seven of those interviews, which were conducted from 17-19 July 2014, were compiled into the latest podcast episode from AirSafe.com.